A place for Oregonians to plan a car-pooling road trip, find a nearby diveable mudhole, and meet new local dive buddies. Peter Guy wrote: I had a good time. Thank you for inviting me. And please let everyone know that they are welcome to contact me with any questions or comments. 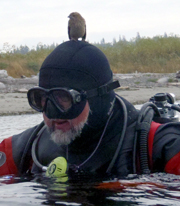 Many thanks to Peter and the Oregon Scuba Club gang for doing this. It was a great presentation and enjoyable evening! It's good to see folks asking for these seminars, and recognizing the importance of the topic ... which, to my concern, is the most important information not provided by any major agency. I had a good time. Thank you for inviting me. And please let everyone know that they are welcome to contact me with any questions or comments. I wanted to post a big THANK YOU to Peter for giving a great seminar to our club last night. "A man must have some wit to know he is a fool"
I was going to be in Portland on the 5th, but I am in Kentucky on the 12th. I would have liked to have made this. I hope it is the 12th. I'm looking forward to meeting all of you. Scubie Doo wrote: Wednesday is the 5th. Can you confirm the day? Thanks. Wednesday is the 5th. Can you confirm the day? Thanks. 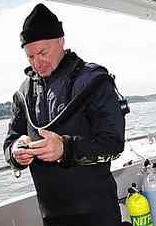 Peter Rothschild PADI MSDT/Tec Instructor has very graciously agreed to present a seminar on Gas Management for those of us living in the Portland Metro Area. When you first learn to dive in the Open Water Class, every student is told to "Plan your dive and Dive your plan." While time is spent making sure that every diver understands the concept of "No Decompression Limits" and how "NDLs" limit the amount of time you can safely spend underwater, often little is taught about planning for how much air you actually need for the dive. This is the topic of Air Supply Management which is often referred to as Gas Management. 4. How long you plan to stay down. Call ahead and order your food for faster service! Last edited by selkie on Wed May 29, 2013 1:31 pm, edited 1 time in total.